Antarctica is one of four internationally recognised global commons along with the atmosphere, the high seas and outer space. These are all areas that have historically been guided by the principle of the common heritage of humankind. The continent is governed by the Antarctic Treaty System, a complex set of arrangements developed to regulate relations between states with interests and territorial claims in the region. As of today, 29 states are “consultative parties” to the treaty. They demonstrate their interest in Antarctica by carrying out substantial scientific activity there. Several states have very specific and long-standing interests in Antarctica, which not only determine national policies about engaging with the continent, but can also complicate those engagements. Seven have territorial claims including the United Kingdom, France, Norway, Australia, New Zealand, Argentina and Chile. In 2007, the UK made a submission to the United Nations to claim more than a million square kilometre of seabeds, and in 2012 it renamed an area as Queen Elizabeth Land. Both instances led to diplomatic tension with Argentina. Despite ongoing competing claims over the Antarctic and increasing interest in its resources, this is also a moment of remarkable opportunity for collaboration. One example of such collaboration is the possibility of creating a large marine protected area in the Ross Sea in East Antarctica. Which path will Antarctica take? The answer may lie with five cities in the planet’s deep south: Cape Town (South Africa), Christchurch (New Zealand), Hobart (Australia), Punta Arenas (Chile), and Ushuaia (Argentina). These cities are the most connected to the Antarctic in the world. They are formally recognised international gateways through which most travel to the region flows. All significant engagement with the Southern Polar Region is co-ordinated through them, but the ensuing competition for economic advantage that this traffic offers is not always constructive. We rarely consider the role that urban centres play in humanity’s relationship with the world’s most desolate, extreme continent. But in these cities, Antarctica has exercised a powerful hold on the urban imagination since the late 19th century. All five cities are small in size and population and, with the exception of Cape Town, do not fit the profile of a global city. But that might change if we consider their influence over an entire region; the high percentage of residents employed in the scientific research and logistics sector; and the fact that they host some of the best educational, tourism, and entertainment facilities in relation to the Antarctic region. Ushuaia (population 67,600) is the capital of the Argentinean province of Tierra del Fuego, Antarctic and South Atlantic Islands. It is commonly referred to as the southernmost city in the world. The city is located on the Beagle Channel, in an area that had been occupied by Yamana – or Yaghan – Indigenous people for more than 10,000 years. Due to its proximity to Antarctica – around 1000 kilometres – Ushuaia is today by far the most popular gateway for Antarctic tourism, capturing close to 90% of the more than 35,000 tourists who travel each year to the Antarctic. But it has yet to act as a base for any national Antarctic science programmes. Since 2007, Ushuaia has hosted the Biennial of Contemporary Art at the End of the World an international arts forum with the motto “Think at the end of the world, another world is possible”. Punta Arenas (population 125,000) was founded in 1848 as a penal colony by the Chilean government, and later served as destination for the settlement of European immigrants. Until the construction of the Panama Canal in 1910, its port was key in the commercial route linking the Atlantic and the Pacific. Punta Arenas was a key site and principal point of reference for many of the early Antarctic scientific expeditions. The city is dotted with these stories. Among the most important is the 1916 failed Imperial Trans-Antarctic Expedition by Sir Ernest Shackleton. This year Punta Arenas celebrated the centenary of the rescue by the Chilean Navy officer Piloto Pardo of Shackleton’s stranded crew in Antarctica. Most important, the national Antarctic programmes of more than 20 countries use Punta Arenas as a gateway to the continent – a higher number than any other gateway city. This is partly due to logistical advantages and the geographical proximity to the Antarctic Peninsula (about 1,300 kilometres), the area of Antarctica that hosts the largest concentration of scientific research stations on the continent, and arguably the world. Punta Arenas is at the centre of a new ambitious development plan seeking to improve its infrastructure and generate new forms of Antarctic culture and identity in the Magallanes region. These include a School Antarctic Fair, a unique initiative in which school students compete for a coveted trip to the frozen continent to work with scientists. 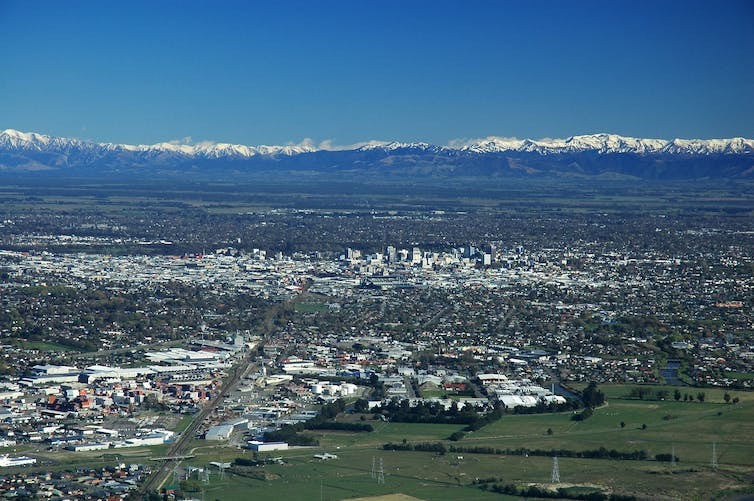 Christchurch (population 360,000) is a key gateway to the Antarctic as the logistics centre for a number of national programmes (most importantly, for the United States, Italy and South Korea). Christchurch’s historic links with Antarctica and tributes to early explorers – such as Captain Robert Falcon Scott – are evident, and made accessible through central city walking trails. While it has yet to attract significant Antarctic tourism operations, Christchurch has arguably the most developed cultural sector of all Antarctic cities – perhaps only comparable to Hobart. In 1992, the International Antarctic Centre – an education and outreach facility – was opened in a precinct that includes the passenger terminals of Christchurch Airport and the New Zealand Antarctic programme offices. The city also hosts the NZ IceFest – a public festival celebrating all things Antarctica. And since 2016, it houses a new Antarctic Office tasked with developing plans to become a world-leading research hub. Christchurch has a long history of Antarctic exploration. 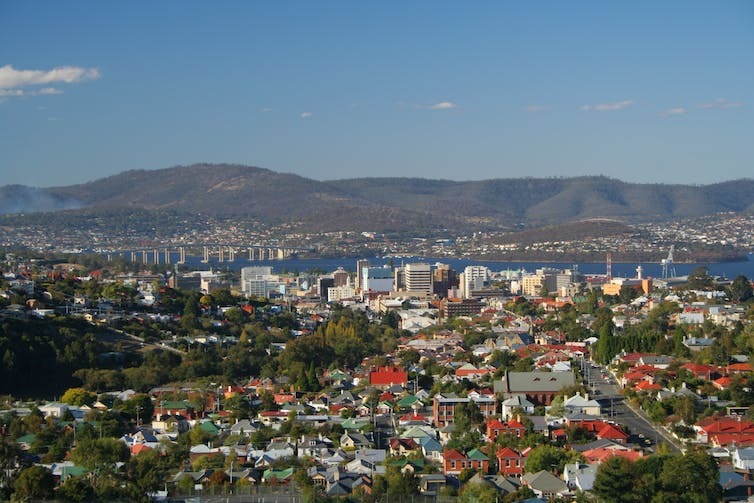 Hobart (population 225,000) was founded in 1803, also as a penal colony. It’s Australia’s second-oldest capital city after Sydney. It has the most complete infrastructure of any gateway city, hosting the largest critical mass of Antarctic scientists and scholars anywhere in the world with world-class research and education institutions. This is the result of a decision made in 1981 to move the Australian Antarctic Program to Hobart from Canberra, which in hindsight marked an economic and cultural turning point for both the city and the state of Tasmania. In the early 1990s, the local government created the Tasmanian Polar Network, which represents the considerable Antarctic and Southern Ocean business and science sector. Hobart’s claim to its gateway status is logistical, economic and scientific (primarily for the French and Chinese Antarctic programmes). In the Southern Hemisphere summer of 2011/12, Hobart hosted a range of big cultural events celebrating the centenary of Antarctic expeditions by Sir Douglas Mawson and Roald Amundsen. Today, the city’s gateway status is also increasingly shored up by heritage tourism: a growing list of polar tourist attractions including permanent museum exhibitions and a new Australian Antarctic Festival launched in 2016. Cape Town (population 3.75 million) has a completely different history to the other four gateway cities. Founded in 1652 as a key site in the commercial route between Europe and the East Indies, Cape Town is an order of magnitude bigger than the next largest gateway and is one of the most multicultural cities in the world. Situated further from Antarctica than the other cities, Cape Town sees its potential in building up research and logistics services, and in being closer to both European tourist-generating regions and key national Antarctic programmes, such as those of Russia, Germany, Belgium, Norway and Japan. Each of these cities has a complex relationship with the Antarctic that goes back hundreds of years. But they have only recently acquired international relevance as entry points for tourists and workers travelling to Antarctica. A formal statement of intent between the five cities was signed in 2009, binding them to explore the benefits of exchanging expertise about the continent. Nonetheless, a substantive relationship between them remains tenuous. It is time we rethink both the outlook of these cities – not as five far-flung ports competing for the same northern hemisphere capital and investments, but as members of a network that can learn from and benefit each other. The future of the Antarctic hangs in the balance and these cities have a key role to play in securing the future of this fragile continent. A new approach is crucial. The cities should not just act as thoroughfares, but also as urban centres that embody the cosmopolitan values associated with Antarctic custodianship: international cooperation, scientific innovation, and ecological protection. Through ecological stewardship, political cooperation, cultural vibrancy and economic prosperity – benefits that can be mutually reinforcing – these cities could change their future relationship with Antarctica, and each other. This piece was updated at the author’s request. The words “memorandum of understnading” were replaced with “statement of intent”, which is a more accurate description of the agreement signed between the five cities.